We are building a next-generation decentralized platform that enables secure value transfers and smart contract execution, in complete confidentiality and with strong correctness guarantees. Glyff, like Ethereum, allows development of decentralized applications, but with a key difference: the ability to conceal data from the computing nodes. This enables developers to include sensitive data in their smart-contracts, directly on-chain, without compromise on security. 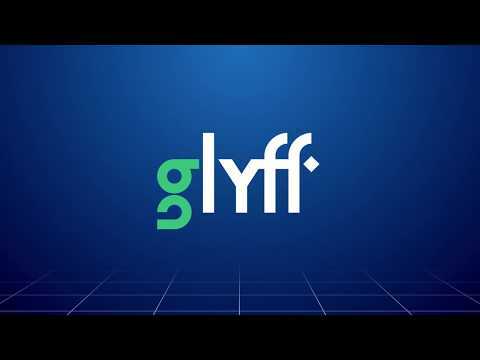 Glyff is a decentralized platform combining the blockchain and advanced zero-knowledge cryptography with the goal of delivering privacy-preserving smart contracts and value transfers. Adding elements from latest cryptographic breakthroughs to the Ethereum proven design, Glyff balances data privacy and transactional security with computational efficiency, ultimately delivering an easily programmable, high throughput smart contract settlement layer up to enterprise level while enforcing the core principles of the blockchain. It's funny because they ask for kyc to his investors, but they not pass the kyc or verify the team accounts. Publication of first white-paper working draft (Sapling).